Have you ever thought about how the water you use every day is made safe? We found an interesting study that features the use of Minitab for data analysis in determining the effectiveness of a water treatment method known as Constructed Treatment Wetlands (CTWs). CTWs are marshes built to treat contaminated waters. Although they are man-made, they are constructed to utilize natural processes that involve actual wetland vegetation and soils. 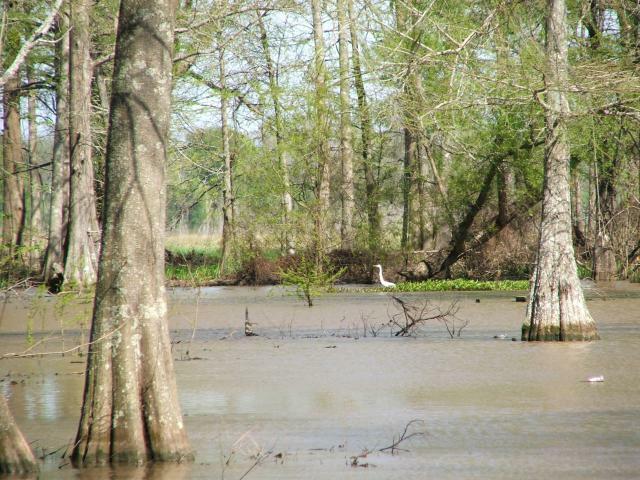 Like natural wetlands, CTWs provide food and habitat for wildlife. They are known for being a low-cost, environmentally-friendly option for treating waters affected by nitrogen pollution. Researchers from the University College in Dublin, Ireland were interested in demonstrating the effectiveness of using CTWs to remove excess nitrogen from a local water supply just outside of Belfast, Ireland. While nitrogen is a natural and essential macronutrient found in all ecosystems, high doses of nitrogen in water-based ecosystems can be deadly for aquatic life. Excess nitrogen fuels algae growth in open waters, depleting oxygen levels and causing many fish and aquatic plants to die off. In a municipal water supply, excess nitrogen can be toxic—especially to infants. With the CTW in place, researchers measured nitrogen levels in the water supply each week for two years. Custom-designed measurement tools were installed and helped researchers record nitrogen levels for all flows into, within, and out of the wetland system. They used Minitab’s powerful Regression and Analysis of Variance (ANOVA) tools to uncover the relationships between nitrogen removal and outside factors such as seasonality. Their goal: to see how these factors affected nitrogen removal efficiency, and if any outside factors helped to optimize its removal. Before performing an ANOVA, researchers entered their data into Minitab and compared data means with a simple paired t-test. This helped them determine if there was a statistically significant difference between nitrogen levels recorded before and after the CTW implementation. The data revealed statistical significance, and researchers concluded that nitrogen had been effectively removed from the local water supply. Now, with Minitab’s help, researchers performed regression analysis to produce a model that revealed the optimal conditions for nitrogen removal. Minitab’s graphical representations of their analysis made it easier for them to pinpoint the factors that contributed to optimal nitrogen removal. They concluded that nitrogen removal efficiency consistently exceeded 90% over the two-year period of study. They also found that removal rates in the warmer months were slightly higher than in the cooler months, with the lowest rates being observed during the winter months. Images licensed under Creative Commons Attribution ShareAlike 2.0.